Applications for Pre-registration are here at this link. Call us in the office if you have questions. All vehicles must be registered by 9:30am on May 4th. We start parking cars at 6:30 A.M.
At 9:00 we will then begin assigning wait list participants to fill the spaces available due to no-shows. All Car Show entries are requested to arrive via S. Auburn Street Follow South Auburn Street north towards downtown where a parking attendant will guide you left or right onto Main Street. Parking attendants will assist you into a space. Travel back in time and experience American nostalgia at its best. 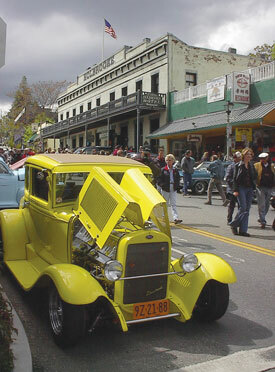 See the classic American automobiles that defined their generations and shop, dine and stay in a city that honors its historic past and embraces its wonderful future; Historic Downtown Grass Valley. 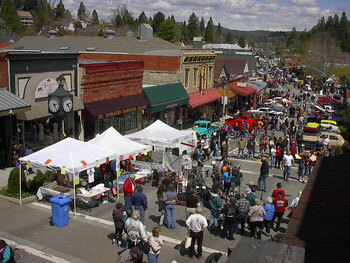 Set in historic downtown Grass Valley California amongst gold-rush era buildings, this Sierra Foothills community event is always a hit with young and old alike. 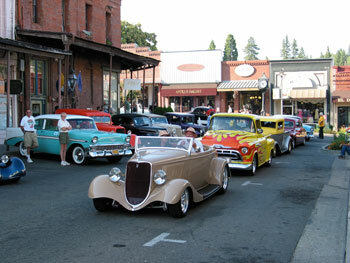 See approximately 300 of the finest custom, vintage and antique cars and trucks in all of Northern California. Get an opportunity to talk to the men and women whose passion is responsible for the restoration of these beautiful icons of American culture. 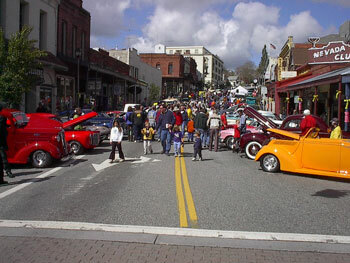 Enjoy great rock ‘n roll music as you stroll through the streets of historic downtown Grass Valley. Browse local car related vendor booths, shop in the incredible collection of downtown Grass Valley stores, and relax at one of Grass Valley’s three wine tasting rooms as you sample the best of hand-crafted, mountain grown Sierra Foothill wines. When it’s time for food, dine at one of Grass Valley’s many fine restaurants and cafes but make sure to leave room for the many delectable treats that will be offered by local vendor booths and candy stores. We will also have face painting. So roll the windows or take the top down. 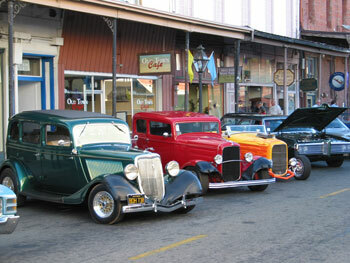 Crank up the tunes and cruise to Grass Valley to celebrate the great American automobile. Recall fond old memories and make new ones. Come for the day, stay for the night, and enjoy a great weekend getaway in this quaint Sierra Foothills town.